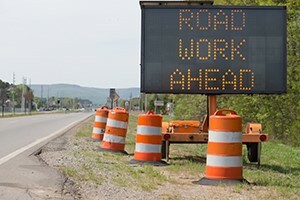 Each year the Federal Highway Administration (FHWA) and the American Traffic Safety Services Association (ATSSA) conduct National Work Zone Awareness Week (NWZAW) to bring attention to motorist and worker safety as well as mobility issues in work zones. This year’s event will be held April 8 – April 12 with the theme Drive Like You Work Here. The national campaign will officially kick off at the Frederick Douglass Memorial Bridge project in Washington D.C. Along with the FHWA, other agencies that take part in NWZAW include the Federal Motor Carrier Safety Administration (FMCSA) and the Occupational Safety and Health Administration (OSHA). To learn more about the campaign and how you can become more involved, you can visit the campaign’s official website.